We know the characters of Marvel Cinematic Universe may be going through a tough time. But the films cast only seem to be having a blast with each other. On Thursday, March 28, we saw Robert Downey Jr., the actor best known for playing Tony Stark/Iron Man trolling his co-stars online. It involves having a little fun with images of their characters. The star tweeted a photo of someone in a Spider-Man costume driving around an Iron Man on a bicycle. Robert clearly couldn’t help himself from tagging the Spider-Man and in this case, it is none other than Tom Holland! “Isn’t he dead Tony?” @viewsfromharris cruelly pointed out. “Denial is the first stage of the grief process,” @gabbygtfo replied. “To say I’m in tears is an understatement,” @wrongirondad added. Another fan hilariously reminded everyone that Holland has expressed interest in bikes before. “Officially buying a motorbike. Sorry, mum.” This is what Holland tweeted way back in August. 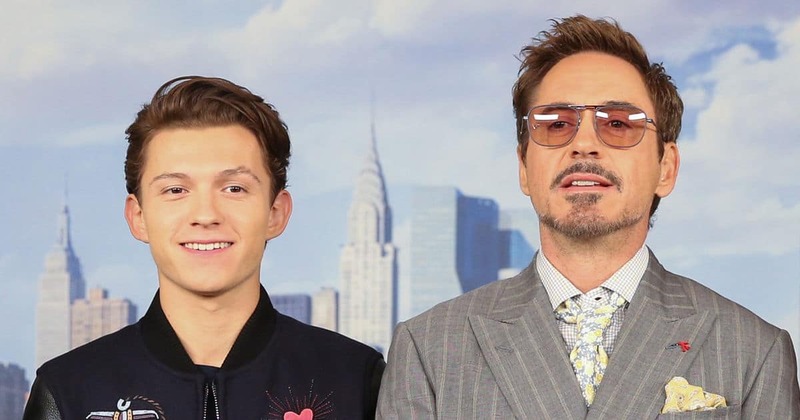 On the other hand, MCU is not the only place you can catch Downey Jr. and Holland together. Both the actors are set to star in The Voyage of Doctor Dolittle. It is expected to be released in the year 2020. Avengers: Endgame is right around the corner and Downey Jr. has been posting more fun content like this. From a Captain American and Iron Man BFF photo to asking the Internet which Marvel cast member has the best moustache. Downey Jr. is always making fans happy! Avengers: Endgame releases worldwide on April 26. This year MCU films include Captain Marvel, which is currently playing in theatres, and Spider-Man Far From Home, which will hit theatres on July 5. Nicolas Cage Files for Annulment Four Days Into New Marriage!